A monumental change is taking place in Christian and Jewish relationships. After so many centuries of separation, alienation and distrust, Jews and Christians are re-examining their attitudes towards one another. Millions of Christians around the world are discovering that true Christianity has Jewish origins. At the same time, Jews are realizing that Bible-believing Christians are their best friends. 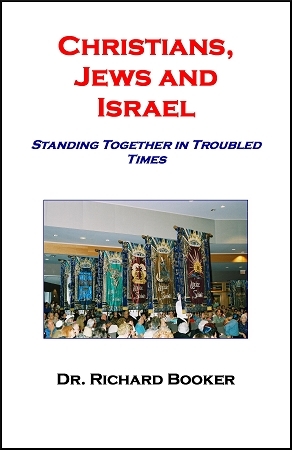 The purpose of this book is to encourage Christians and Jews to stand together in faith, hope and love in the troubled times in which we are living. In this enlightening book, Dr. Richard Booker helps you learn what will change the way Jews and Christians think and speak about each other. ■ Inconvenient truths the media won’t tell you about the Arab-Israeli conflict.